Today, I’m going to do something I should have done a while ago. Students of Brownhills Local History will be aware of an elusive, long lost site by local chap Robert Webster. This great resource ceased to exist a few years ago, when Freeserve, the service provider in whose hosting space the website was based, shut down and merged with Orange. One often finds broken links to Rob’s site around the net, and I asked Rob a couple of years ago if I could republish his material. At the time, he agreed, but he also talked about getting the site back up, so I thought I’d leave it for a while, in case he had a change of heart. Since then, I’ve been unable to contact Rob, so if you’re reading this, please shout up if you object and I’ll take this stuff down. However, along with David Hodgkinson’s wonderful Brownhills site, this labour of love was formative for me. The writing was good, and very, very diverse, and covers lots of material I’ve not seen before. Without criticising Robert, but mindful of the sources question that so troubles me, there are none cited here, so I’m interested in reader’s interpretations. 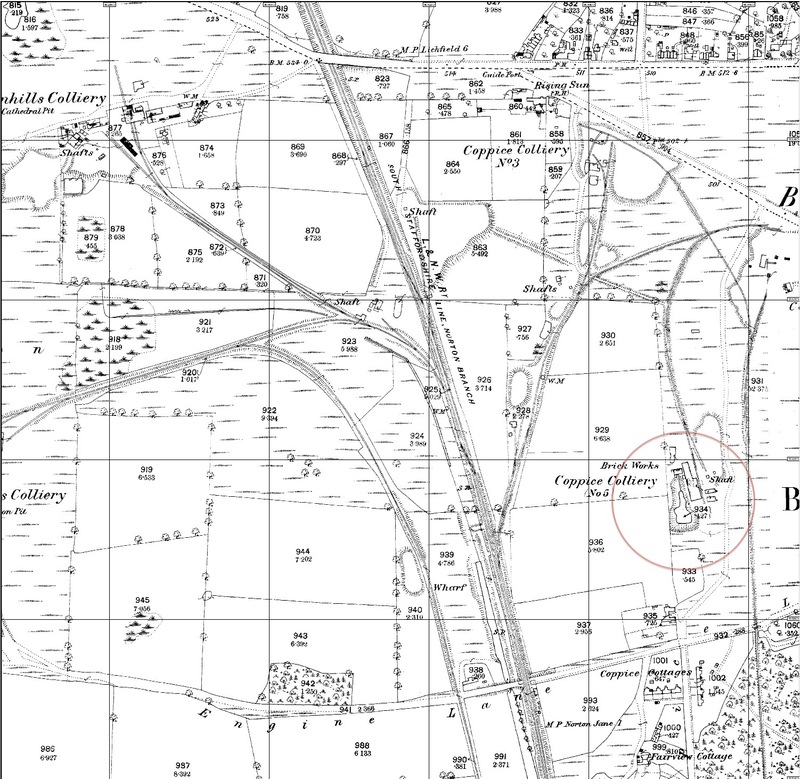 For instance, in the last paragraph, Robert suggests that Marklews Pond is the result of a sink hole; it may well be, but the mapping record seems to show it as the result of a marl pit. Please feel free to analyse this and discuss it. Note the link here to William Roberts, the work of another local historian on whom I’ll be presenting for discussion tomorrow. Note that I’ve recycled this from a saved version from the Wayback Machine from three years ago, it fades in and out, so I’ll only make general links here. Remember, folks, comment is invited and welcomed. Either on this post, or by email to BrownhillsBob at Googlemail dot com. Cheers. I want to get as much of this stuff back up and online as possible. 1838 1:2,500 Ordnance Survey map of the area, with what became Marklews Pond highlighted. That would appear to be a marl pit to me. Click for a larger version. 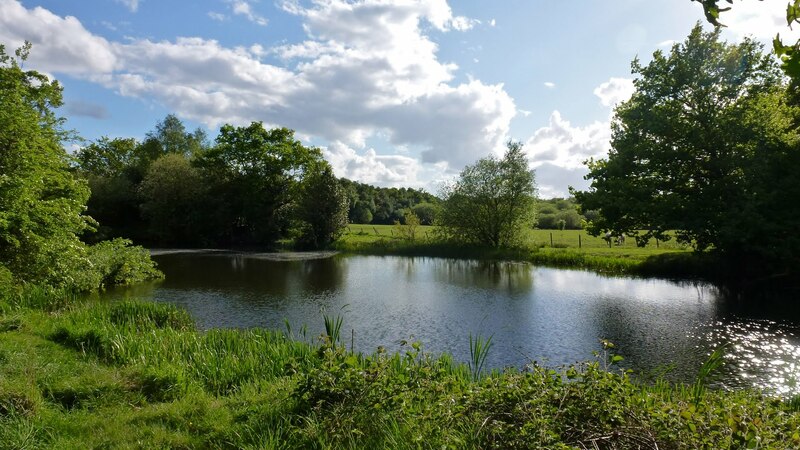 The Pond on the Common, The ‘Tommy Shop’ and Coppice Side Farm. William Marklew was born 1858 to Charles and Harriet Marklew at a very old historic house which the Marklew Family had rented from Squire Macphereson for over one hundred years it was known as Coppice Farm. It is thought the old Farm House was once an old Inn. He started work at the age of five, working with his father at the Coppice Colliery No5 Brickworks near the house. William then went to work down the Coppice Colliery No5 pit, which was next to the Brickworks in Coppice Lane. William married Harriet Hichin, who was a maid working at Coombe House on the common. When there first son, ‘Walter’, was born in 1881, they moved out of the farm house and brought a house in Pelsall Road but after the birth of their tenth child the family moved to a very old historic building known as, “The Old Tommy Shop” near to Coppice Colliery Pit No 5 in Engine lane and the Brickmaking Kiln. The people who worked at the kiln were paid in kind at the,” Tommy-Shop” which William ran. The Tommy Shop was a system by which employers paid there workers part in coins and part in tokens, which could only be used at the Tommy Shops. The system was very unfair as the Tommy Shop would often sell inferior goods and charge, sometimes double what the local shops would charge. The Tommy Shop was not a shop as we would think of today, they were often operated in one room of, usually a farm house, and the goods would be sold through a small window with a ledge to the outside. The wives , or whoever went to redeem the tokens would have to stand outside in all weathers. The Tommy Shops were very common and operated in most industries including, Coalmining, Brickmaking and the Pottery trade. The system of paying wages by Tommy tokens was made illegal under the provisions of the Truck Act of 1831, but the practise still remained widespread well after the middle of the 1800’s. This was because many of the shops were off the beaten track and were hard to find, also the workers were reluctant to complain about them as they would loose their jobs. William Marklew is reputed to be the last operator of a Tommy Shop in the U.K. It was closed when the Mine ceased operating and the Brick Kiln was closed. William at the age of Forty along with his large family moved back to the family farm house which he started to build up.The Pantry was turned into a Dairy where Mrs Marklew, with help from the children would make butter in a large churn and then make it into small blocks which would be wrapped in a dock leaf. They would also bake loaves of bread to sell. William had 15 children 9 sons and 6 daughters all were very healthy. In 1924 William retired from the farm which was took over by his son Sidney, it remained in the Marklew family until it was compulsorily purchased by Aldridge-Brownhills Council, the land was used to build an Industrial site and the farm declared an Historic Building. Then the Council commandeered all the land from the ‘Jolly Collier’ to the High Bridges to build an Industrial Site and demolished all the houses including five that were once owned by William Marklew. The Council also took all the land around Coppice Side and bulldozed, Big House Farm, Bug Row, Coppice Side Farm and Cottages. They replaced them with factories and Industrial Units. The land around the mine and farm suffered subsidence and a large hole appeared which filled with water, this became known as The Brick Hole. It later was became known as the name it is called today which is Marklews Pond. The pond is popular with fishermen and holds some very large fish, as with most pools in the area Marklews Pond has its fair share of myths, some say it is so deep no one has ever seen the bottom, and it goes down into old mine workings, I for one am not about to jump in and find out. This entry was posted in Brownhills stuff, Environment, Features, Followups, Fun stuff to see and do, Local Blogs, Local History, Local media, Panoramio photo discussions, Shared media, Shared memories, Social Media, Spotted whilst browsing the web, Walsall community and tagged Brownhills, Brownhills local history, Bug row, colliery, Common, Coppice, Coppice Side, Engine Lane, Internet Archive, local blogs, Local History, Marklew's Pond, Old maps, Panoramio, Robert Webster, Side, Staffordshire, Tommy Shop, Tommy Tokens, Wayback Machine, William Marklew. Bookmark the permalink. Where wages are paid to workmen who are expected to lay out part of the money for the good of the shop. Tommy means bread or a penny roll, or food taken by a workman in his handkerchief; it also means goods in lieu of money. A “Tom and Jerry Shop” is a low drinking-room. So the term Tom & Jerry predates the cartoons? That *is * interesting. Never heard that before. That rogue Arkwright was a huge promoter of the Tommy Shop system, I believe – the use of which energised everyone from the Chartists to the Quakers and their model villages of Bourneville and Port Sunlight. Ah you got me going for a bit there Bob. Trying to figure out the connection between the “Tommy Shop” and Ronnie Barker! Heh, yes – that’s the site in question, served from the Wayback Machine (the Internet Archive) – I didn’t link it direct because often, it’s down or stuttering. Those guys need some funds pumping in… Shame, they do a cracking job. When I first returned to the Midlands in 2001 and restarted my family history search, Rob’s web site proved invaluable to me. He was also very helpful on a personal level when I contacted him by email. I do hope he decides to put it all back up because it was a lovely resource. Rob is a lovely bloke, and his site was invaluable when I started looking into local history. The loss of it was quite acute, and it was that realisation of the transitory nature of stuff posted online, and its vulnerability, that contributed to me starting this blog. I wish Rob well, wherever he is, and pay tribute to him and his work. If he ever wants to put the site back up, I’ll help him all I can.